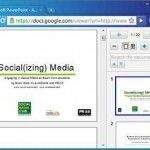 There are times some of our visitors are asking us about free download PowerPoint software. You should be aware that Microsoft PowerPoint is a registered trademark of Microsoft Corp. and it is not a free product. However, there are some free alternatives that you may consider depending on what you are need or looking for. 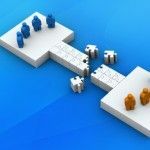 Let’s see some free alternatives to PowerPoint download which you can use instead of the traditional Microsoft Office PowerPoint software, for example if you don’t have a full Microsoft Office license key. 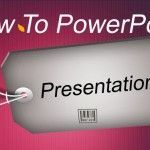 PowerPoint Viewer is a free software that you can download from Microsoft website and allows you to play PowerPoint presentations and slideshows. You don’t need to have the full version of PowerPoint and Office installed in order to play presentations .ppt or .pps, using PowerPoint Viewer you can play your presentations or any presentation that you receive via email but you can’t edit them. You can try Microsoft Office 2010 Home Edition using the free 30 day trial. After you download PowerPoint free trial you get access to Microsoft Office features including PowerPoint creation software for free during 30 days. You can also try it free including Microsoft Office Professional edition or Microsoft Office Home and Business editions. You can download for free the preview version of Microsoft Office 2013. Microsoft PowerPoint 2013 has the new Metro interface and features new charts and templates with modern styles. Microsoft PowerPoint for Web is the online version of Office PowerPoint now available on the web. The good thing about Microsoft PowerPoint running on Office Web Apps is that you have access to an online solution and can make use of SkyDrive to store all your presentations online. Of course you can always get free download PowerPoint files that were created online and then open it again in the future. In order to gain access to PowerPoint online web apps you’d need to create a Windows Live ID account (you can create it for free) or access to your Hotmail account. Once in there you’ll see a new menu at the top that says SkyDrive. Click there and a pop-up will appear. Then choose New PowerPoint presentation. Take part in a live Microsoft PowerPoint presentation from a coffee house, between your classes, or during your commute. 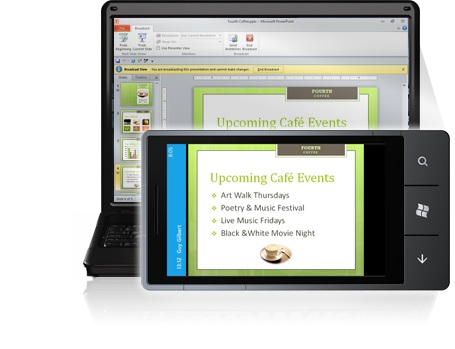 Using Mobile PowerPoint in Windows mobile devices you can play your presentations in PowerPoint easily. LibreOffice Impress is a free Office suite formerly known as Open Office. 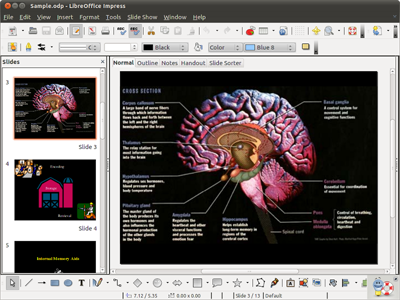 LibreOffice includes a software package named Impress which is the Open Source version of Microsoft PowerPoint. With Impress, you can create stunning PowerPoint presentations without needing Microsoft Office. 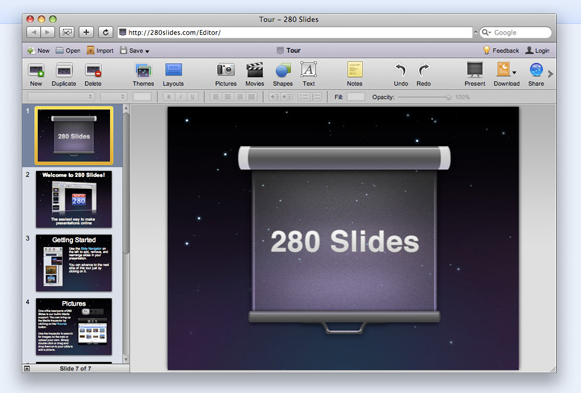 Also you can play your previously created PowerPoint presentations or export to .ppt files. Google Docs is an online presentation solution based on Google platform. The good thing is, you can create stunning presentations online or by importing your PowerPoint PPT file. This could be a good alternative if you need to edit a PowerPoint presentation but don’t have Microsoft PowerPoint installed. Microsoft PowerPoint Viewer is a free viewer from Microsoft that you can download. It doesn’t have editing capabilities but you can play your PPT and PPTX PowerPoint presentations. 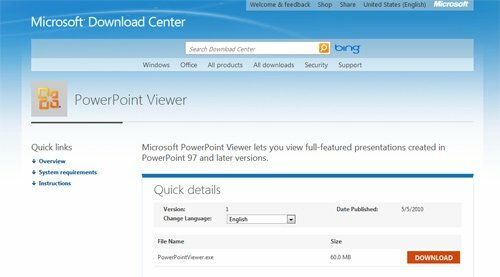 If you need to play a PowerPoint presentation and don’t have Microsoft Office installed, you can even go to Microsoft website and download free PowerPoint viewer. 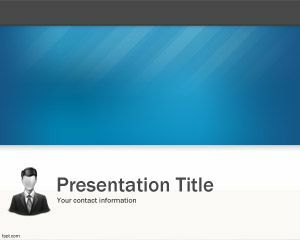 With 280 slides it is easy to make a great looking presentation with professional, quality built-in templates for presentations. Also you can put your presentation on SlideShare or email to a friend or even more, embed it directly on your own website or blog with a few clicks. There are many other online solutions and presentation softwares that you can also try by searching them online, for example Prezi or Sliderocket introduces an innovative presentation solution with social engagement and basically they got everything needed to create stunning presentations online and download free PowerPoint templates.